FM-200 is a leading alternative to Halon has been manufactured by Great Lakes Chemical Corporation, which has been utilised in Kidde Fire Protection Marine FM-200 fire protection systems. Fast and effective, the Kidde FM-200 has a low space and weight characteristics, along with environmental acceptability. Tens of thousands of FM-200 systems have been installed worldwide, with the system having been adopted by the majority of the world's fire protection companies. Only containing carbon, hydrogen and fluorine, FM-200 is a colourless, odourless gas, lacking the ozone-depleting presence of bromine atoms. FM-200 is highly penetrative in the hazard zone. Largely acting by physical means on fires, FM-200 lowers the temperature of the flame and fuel to a point at which combustion reactions cannot be sustained. An advantage of FM-200 is that there is no significant post discharge clean-up, obscuration on discharge and damage to sensitive equipment. FM-200 has a short atmospheric lifetime and zero ozone-depletion potential. 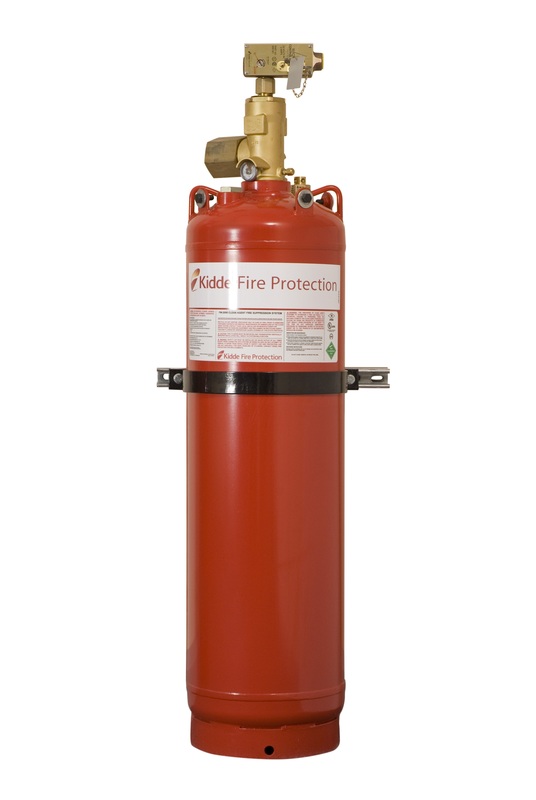 The US EPA (Environmental Protection Agency) plus many other approval bodies accept the Kidde FM-200. FM-200 mitigates the effects of an uncontrolled fire and at the end of the lifetime of the system, the gas can be readily recovered and recycled. 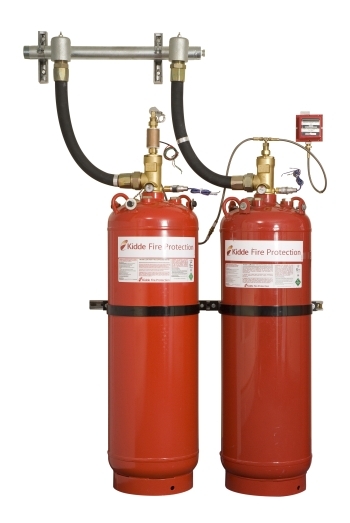 A versatile line of cylinders, valves and related components have been combined under the Kidde Fire Protection FM-200 range. Subject to stringent testing procedures, the Kidde FM-200 range have been selected and approved for use in the marine environment. The Kidde FM-200 range has become known as the world's finest fire safety range, with flexibility, quality and reliability the key factors. Engineered systems offer optimum designs for defined risks with reduced pipe sizes, unbalanced flows and multiple compartment protection. In accordance with the Kidde Marine FM-200 Manual, systems are designed to achieve a minimum FM-200 concentration of 8.7% for diesel fuel and with a maximum discharge time of 10 seconds. This results in rapid fire protection, having a strict limitation on fire and smoke damage. For a larger view, please click on the photo above. Designed for optimum system performance, the FM-200 valves reduce pipe sizes and lower installation costs. Available in a range of sizes, the fast-opening valves are manufactured from tough, corrosion-resistant brass under stringent quality control standards. An easy-to-read gauge on the valve permits the convenient visual inspection of the cylinder pressure. Time delays and pre-discharge alarms are also available. From discharge nozzles to control heads, all related components are designed to be compatible, allowing a complete system to be configured using USCG, Lloyd's Register, MCA, DNV, FM, UL and LPCB approved Kidde equipment. Ensuring maximum economy in installation and offering a choice of fill capacities to meet specific requirements, a wide range of cylinder sizes have been made available, all manufactured from high strength alloy steel. An optional liquid level device for ease of contents monitoring and improved system maintenance features on the larger cylinders. A range of custom-designed nozzles is available including 180° bulkhead and 360° deckhead types. 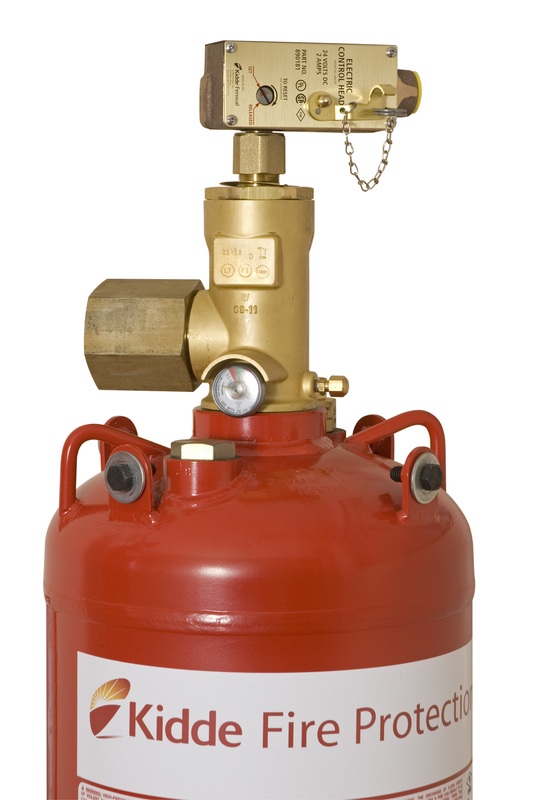 Stored as a liquid in nitrogen-pressurised containers at 25 bar, the Kidde FM-200 compares favourably with all other viable gaseous agents, leading to minimal storage space requirements. Kidde Fire Protection systems are designed to conform to NFPA 2001 and tested to limits established by the International Maritime Organization (IMO). An empirically-verified Windows-based computer program is used to model two-phase agent flow and ensure that the correct concentration of agent is achieved within 10 seconds throughout the protected zones as required by the NFPA 2001 as well as the forthcoming ISO 14520. *US CoastGuard approval indicates compliance with NFPA 2001 and IMO MSC Circular 848. **DNV approval is granted with reference to SOLAS 1994.